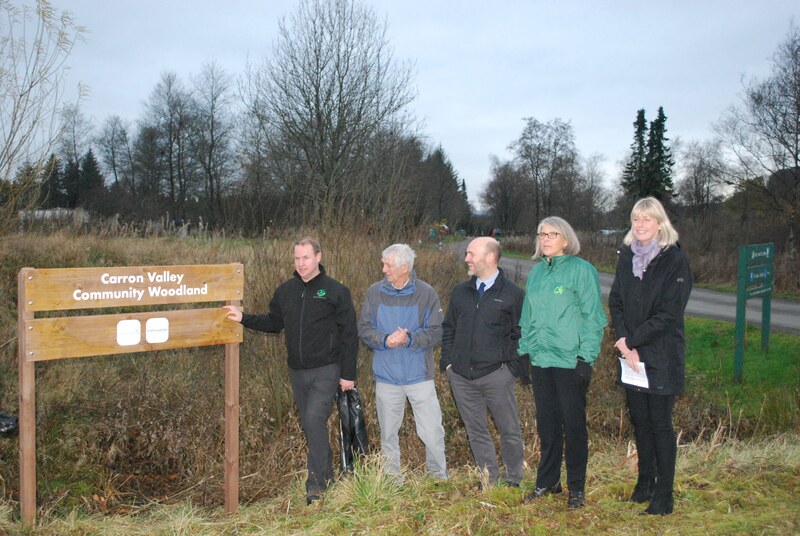 Valley Renewables Group officially took possession of 21 hectares (52 acres) of woodland near Carron Bridge village, in November 2018. 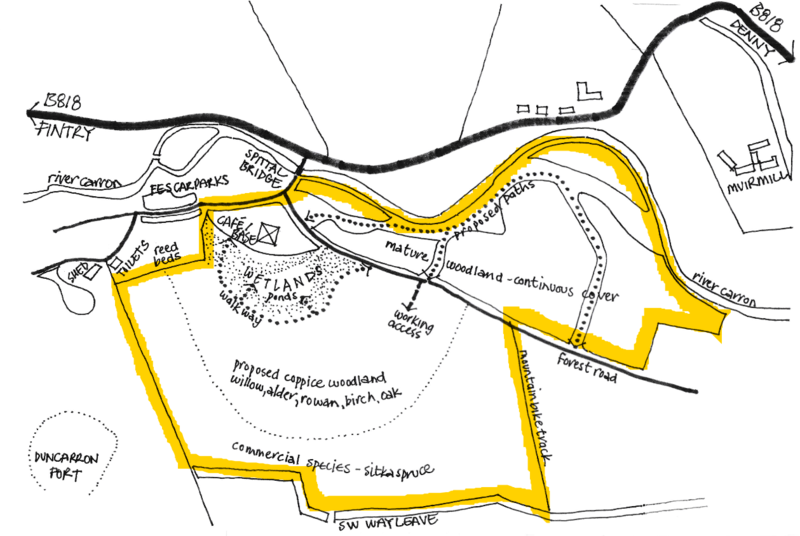 The plan is to develop this site as an amenity woodland for the benefit of local residents and visitors. 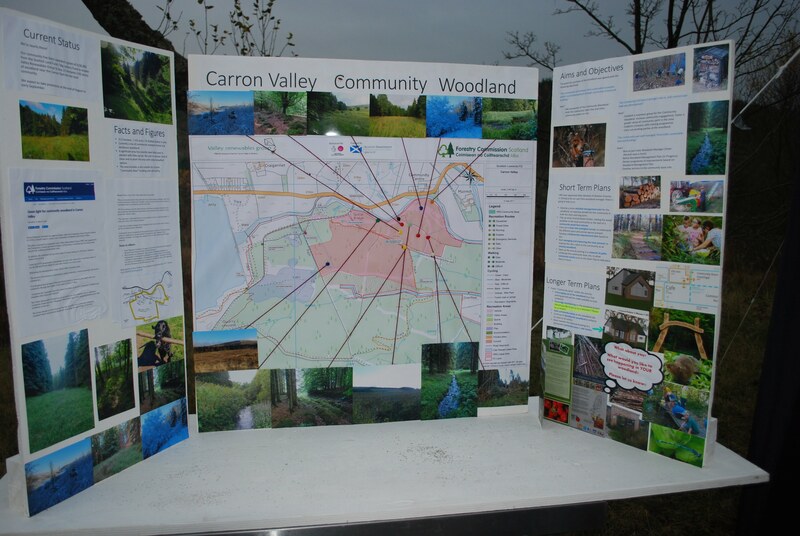 Click here for the latest newsletter about the Community Woodland Project. The Community Woodland also now has a Facebook Group. Be sure to join, to keep up to date with what’s happening. 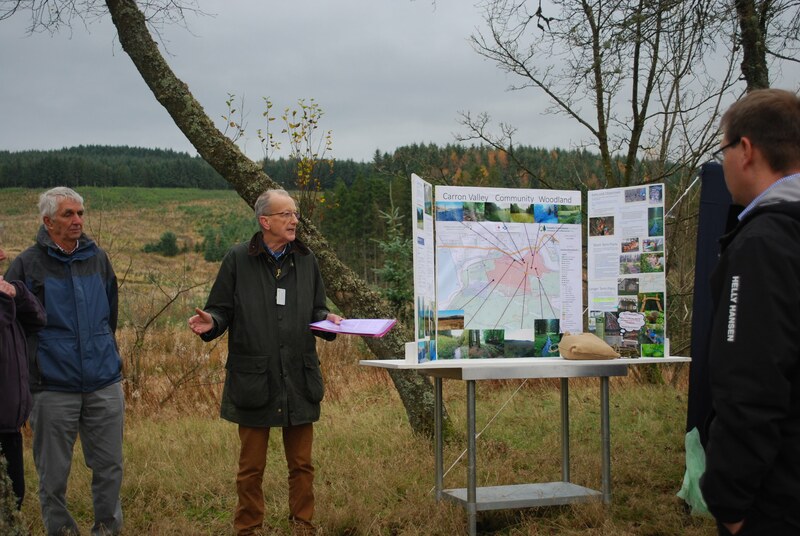 These projects are part of a three year plan, supported by Watston Forestry, our Stirling based Forestry Consultants. We are currently looking for volunteers to join VRG’s “Woodland Sub-Group” – the group tasked with developing the site and delivering the project. So, whether your interest is in footpaths, recreation, ecology, education, wood fuel, or something else, we’d love to hear from you. Just get in touch via the Community Woodland Facebook Group, or by using the contact form.